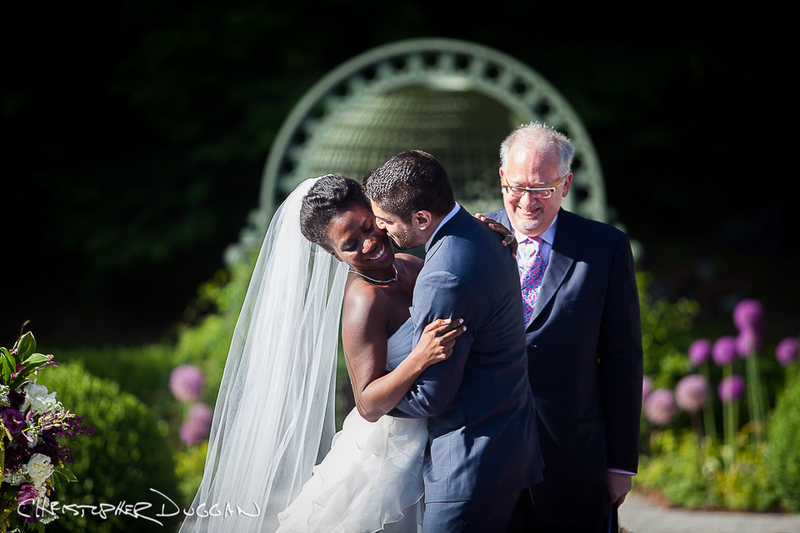 Janine & Victor were married at The Mount this summer in Lenox, Massachusetts, and Karli Cadel on my creative team photographed their beautiful wedding day with second photographer Cherylynn Tsushima. Our friends at The Mount are fellow members of the Berkshire Wedding Collective, and we love to photograph weddings there. 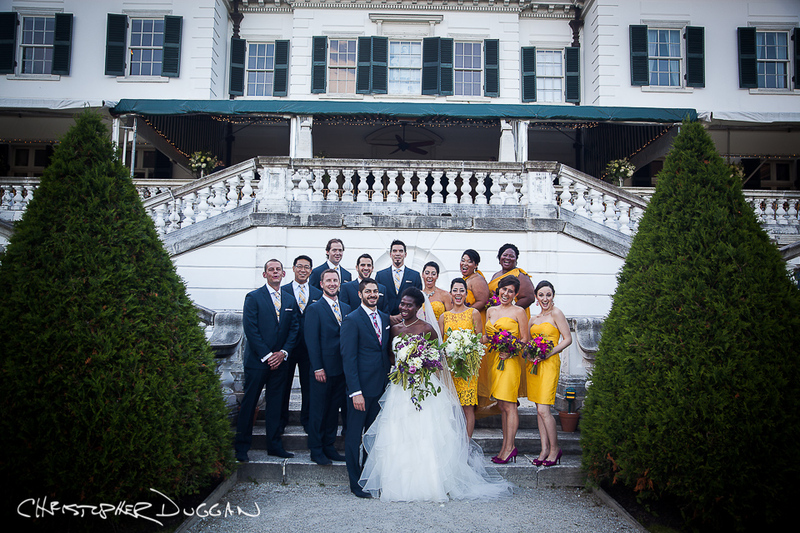 The happy couple’s use of color in their small wedding details as well as bridal party attire was vibrant, yet elegant and made for perfect Berkshire wedding photography. You could tell it was a tight knit group, especially the bridesmaids. Janine’s mother made it a point to thank all of the bridesmaids for their incredible friendship to her daughter. During Janine & Victor’s ceremony at The Mount there were a handful of great readings. Janine is a playwright and she met Victor in the theater. To add to the heartfelt spoken word at their wedding, one of their friends sang “La Vie en Rose,” which was really lovely. The entire ceremony was incredibly unique and beautifully intertwined their history as a couple through the words of friends and family. 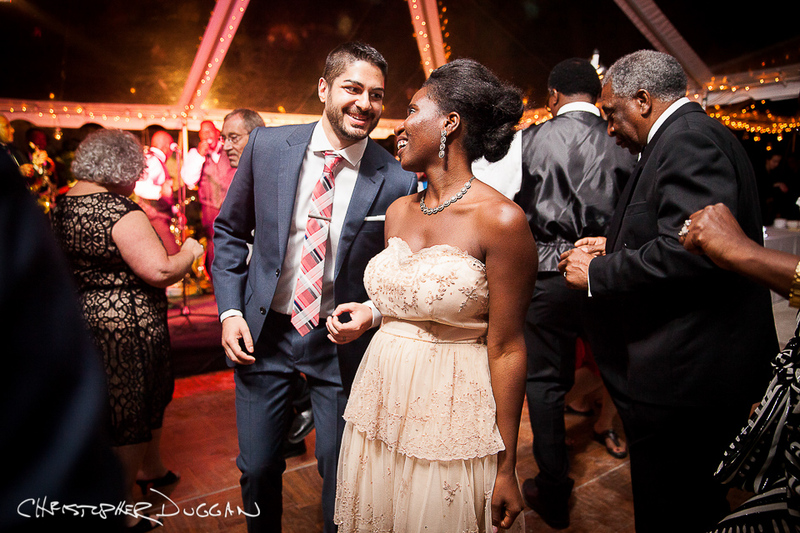 The love for their work in theater and how it led them to one another was evident throughout the wedding day. They really paid tribute to how their talent and profession brought them together. Janine & Victor and their parents took part in a Polish wedding tradition where the parents offer the couple bread and salt and the couple toasts their parents with a shot. One shot glass contains water and the other vodka. Supposedly, the person who chooses the vodka will be the head of the household. Janine made it seem like she was expecting to get the vodka, but Victor actually ended up getting it. They had pretty hilarious reactions. The band had Janine & Victor do a dance-off at one point and they both pulled out some impressive dance moves.